Fastlane Autocare offers a specialist and expert service in all things automotive, modern and vintage! For all your classic car service, repairs and maintenance needs, give us a call on 07943185471. 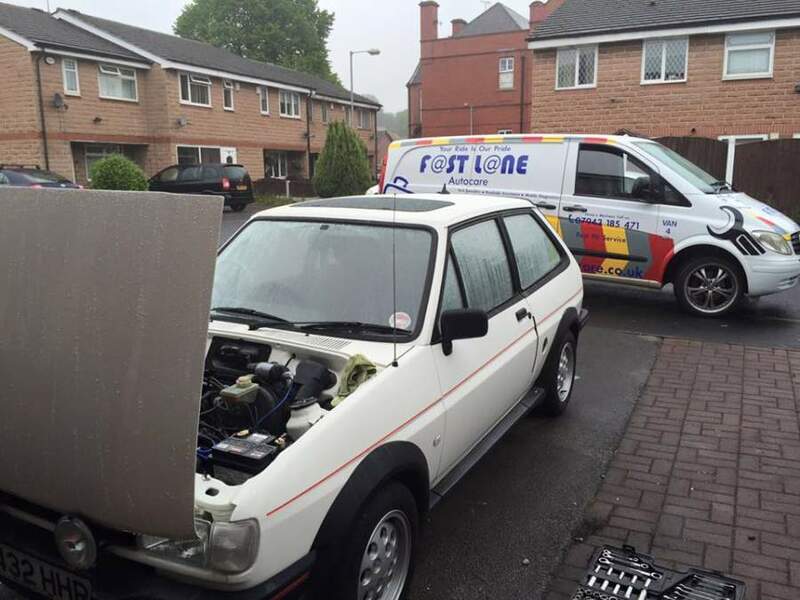 Irrespective of whether you have a classic Mini that needs a new floor, a dent in your Jaguar E-Type or you need new suspension on your Ford Fiesta XR2, then you're in the right place! We have a real attachment and genuine appreciation concerning classic cars and their repairs and restoration. We take that much pride in every single job we do, you could say we will treat your classic car as one of our own! We are a fully mobile classic car repair agent, we can repair 95% of classic cars at your home, roadside or workplace. We also offer recovery services so if you need us to move your pride and joy for you, we are more than happy to assist with this! If major repairs on your classic car are necessary, we also offer transportation to our fixed workshop and safe, secure storage for any period of time. Want us to take your classic car away? Of course, some jobs such as full restorations will need to be taken into our secure workshop. If this is the case for your vehicle's repair work or restoration, we have to hand a 3.5-tonne truck and a 7.5-tonne tilt and slide truck to move your classic car with professional handling and care. Our workshop has 24 hours monitored CCTV operators as well as a full enclosure alarm system and bash barrier so you know your classic car will be safe in our hands. We have been undertaking classic car restorations, repairs and mechanical work many years now so we certainly know our 'stuff' when it comes to classic cars and their specific issues and problems. We offer a warranty with every single repair carried out as we are extremely confident with the quality of our workmanship and the specialist classic car services we provide. Our workmanship is second to none and a full guarantee is standard with every single job. No job is too big for us... In fact, the bigger the better! We get as much joy out of seeing the finished result as you do and take pride in the friendly, professional services we provide. We have branches all over the North West area. Each of our branches is equipped to deal with any classic car repairs you may need. We have branches in Stockport, Congleton, Trafford, Manchester, Liverpool, Southport, Runcorn, Atherton, Wirral, Chester, Lymm, Cheshire, Radcliffe, Helsby, Leyland, Oldham, Queensferry, Skelmersdale, Swinton, Trafford, Walkden, Deeside, Denton, Hale, Chorley, Bury, Bolton, Warrington, Wigan and Widnes. With our fully mobile service, we can cover any location in the North West area. If you have a classic car, then we are the specialised mechanics to speak to!